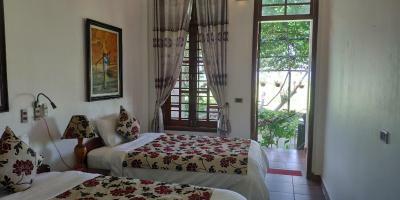 Lock in a great price for Phong Nha Farmstay – rated 9.4 by recent guests! The food was great. The owners were really helpful and welcoming. 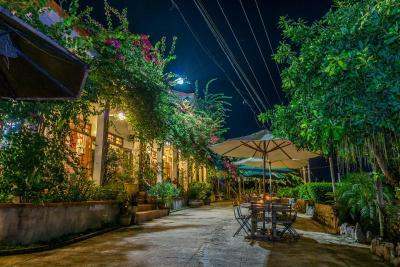 Beautiful concept of staying in farmstays, lovely people, away from the Phong Nha town but still totally worth it. The place was awesome ! 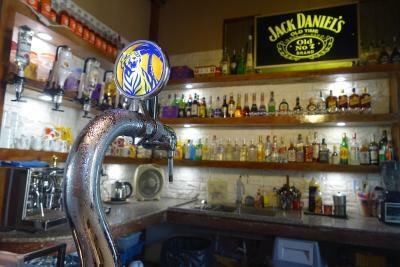 The owner and staff were welcoming and accommodating! We felt like royalty! 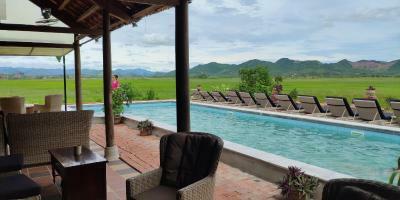 Everything at Phong Nha Farmstay was fantastic. I would absolutely stay here again. From the beautiful views, to the comfortable mattresses and sheets, to the convenient shuttle in and out of the city, this was truly a magical place to stay. The staff was super friendly and helpful, the location is beautiful and the organisation of tours was great. Perfect place to stay! 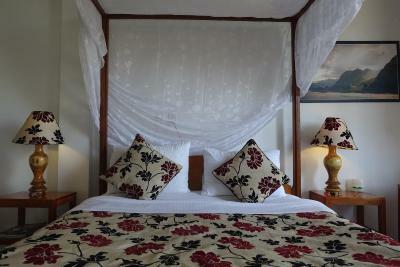 Lovely comfortable accommodation in a beautiful rural setting. Great facilities & lots of helpful advice to get the most out of our stay there. Very helpful staff spoke excellent English. Everything about this place shows that the people who own it and the team that run it really care, and go out of their way to make you feel at home. One of the best places I’ve ever stayed, as soon as I arrived I felt relaxed, it’s all the tiny little things that add up to make it so relaxing, stress free and comfy. 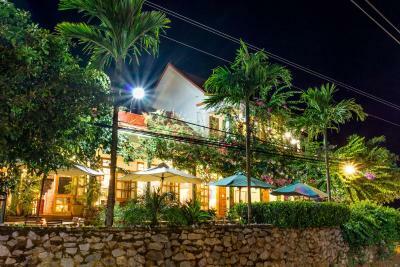 Located in Phong Nha, Phong Nha Farmstay features free bikes, an outdoor swimming pool and a garden. 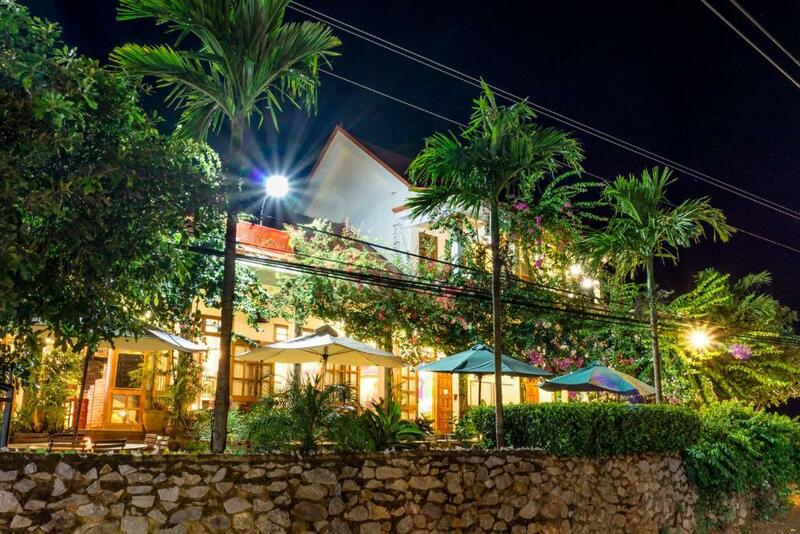 Featuring free shuttle service, this property also has a restaurant and a terrace. Free WiFi is featured. 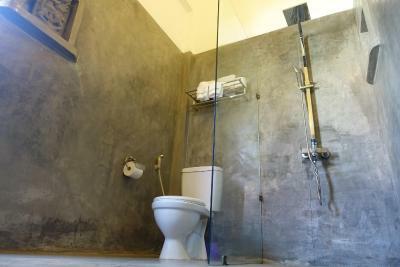 Rooms are complete with a private bathroom equipped with a shower, while certain units at the resort also feature a balcony. You can play pool at Phong Nha Farmstay, and the area is popular for cycling. Dong Hoi Airport is 22 miles away. 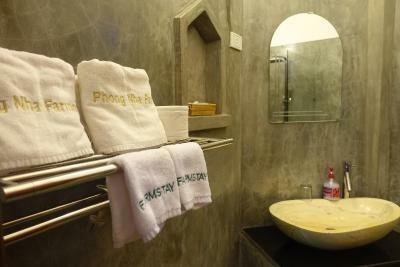 When would you like to stay at Phong Nha Farmstay? 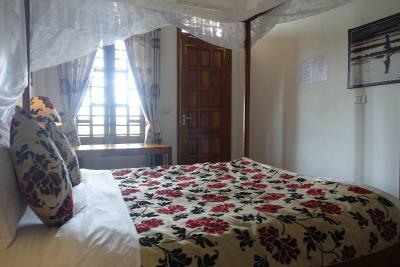 This double room has a balcony, air conditioning and mountain view. 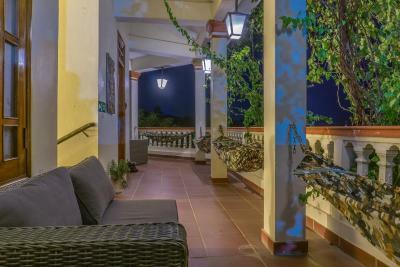 This twin room features a balcony, view and seating area. This holiday home has a balcony, seating area and electric kettle. This holiday home features a balcony, sofa and electric kettle. 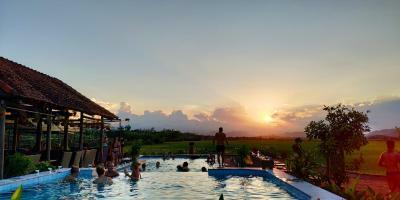 House Rules Phong Nha Farmstay takes special requests – add in the next step! Phong Nha Farmstay accepts these cards and reserves the right to temporarily hold an amount prior to arrival. The pool was not clean and the staff was sometimes very slow with the service. The food could have been better, but everything else was great! The Farmstay connects you to tours in the area, and if you are bringing kids, make sure you understand the age limits for each of the cave/jungle tours. Oxalis tours don't allow anyone under the age of 12 (or a mature 11 year old). We had chosen a tour that was advertised as family-friendly (Nuoc Nut), but in the end the tour wouldn't allow our kids to participate. It was frustrating that Farmstay had shared outdated information about the tours, but in the end they were helpful in finding other options for us. It's important to plan and ask in advance what tours will be an option for you based on the ages, sizes, and skills of your kids. We had a wonderful time at the Farmstay. 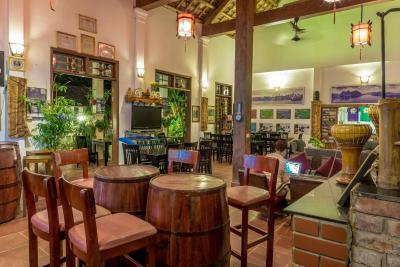 It was one of the most relaxing places we've been in Vietnam during several years of living here. 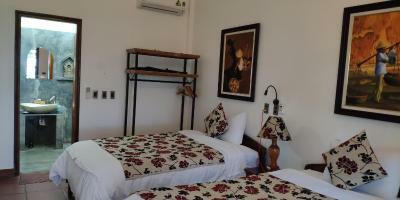 The rooms were clean and smelled good, were bug-free, and the beds were comfortable. The staff was almost exclusively helpful and kind, and the food was delicious. The views and grounds were amazing. We really enjoyed the small touches like tea and coffee and water that were offered to guests and the very helpful advice that staff provided about activities in the area. It was expensive to get there and back by their transfer ,and we couldn't find anyone to share. 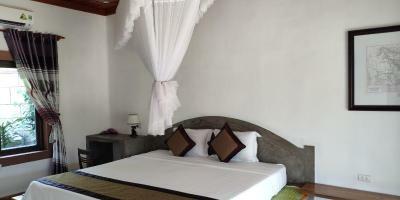 Friendly and really helpful staff,free walk and free motor bike ride .Beautiful location. The staff were super friendly and good. Everything was very nicely organized! The food was really good, staff was very fiendly and helpful and the pool is amazing! Very professional but cozy and authentic place. It was my birthday while staying here, and even though we did not mention it to anyone I got a birthday cake! Such a nice gesture, thanks again! 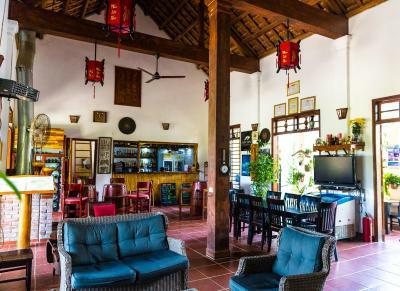 Very friendly helpful staff, great location in the rice fields, swimming pool, tour booking possibilities, nice food and all round good atmosphere. 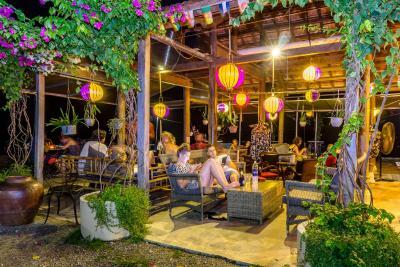 Great place to stay to enjoy the fantastic nearby national park and caves, to do some jungle treks and to relax in the pool to allow the aching joints to recover. Highly recommended. We were not happy with the accommodation. 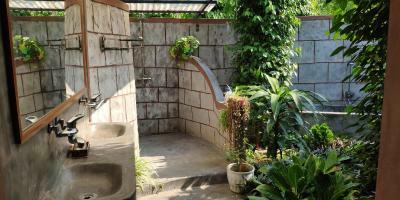 We were taken to an “extension” of the property which was essentially a local families backyard. The family was nice but their children were loud in the morning and made it difficult to sleep in. The room was alright except for the fact that there were termites eating the bed headboard and there was some kind of animal living in the roof that was making noise and running around all night. 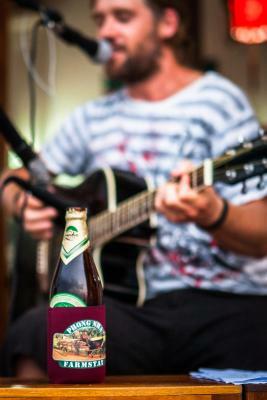 We just think that you can get better accommodation and service at a different place at the same price. I think the rooms in the main area would have been better.